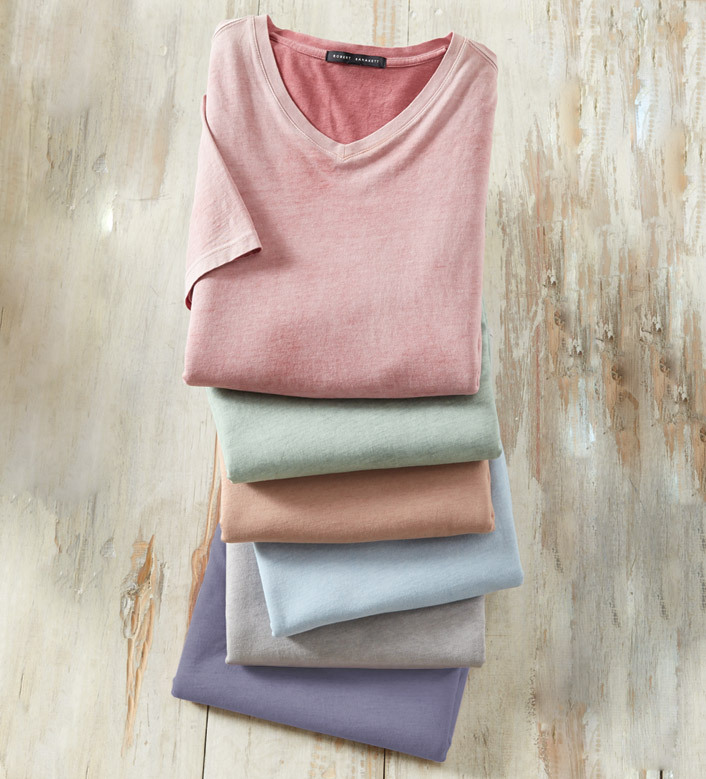 Ultra soft, lightweight, 100% pima cotton with color applied on the inside to create soft, subtle shades. Short sleeves, V-neck, straight hem, side vents. Machine wash. Made in Peru.